When Charity Bellingham visits London for the Season, she has no idea what adventures lie ahead. But a chance meeting with the beautiful Isobelle Greenaway will have long term consequences as Charity discovers things about London society, about slavery, and most of all about herself. 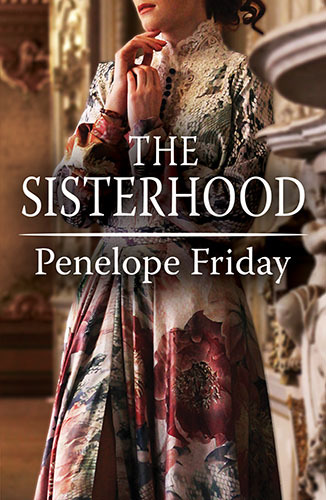 But it’s the introduction to The Sisterhood—a secret society of ladies—that will impact and change her life forever. Penelope Friday’s romantic tale of women and life in early 19th century London is one that readers won’t want to miss. 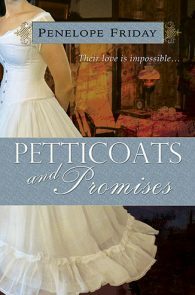 …creates a convincing and lively portrait of Regency London in the aftermath of Waterloo and the vanguard of William Wilberforce's anti-slavery campaigns—particularly the often overlooked role of women in that society….this is essentially a tender and rather beautifully written romance—and one that holds the reader's attention to the final page. Lesbian historical fiction is still a rarity, which in my opinion is a shame because if it is done well it is delightful to read. And this one is done well indeed. If you are looking for hot love scenes you won't find them, and that's absolutely right for a story such as this. What you will find is a series of beautiful narratives around the emotional side of love, and heartbreak, and of the sheer joy of loving a woman and being loved by her in return. The lady’s face was red with exertion and tears stood out in her eyes. A maid patted her head with a damp cloth as the midwife took care of things further down her body. She knew her husband would be waiting downstairs, smoking a cigar as he paced the library, anticipating the news they both so desperately wanted. It was perhaps the only thing the couple had ever agreed upon. “Just one more push and baby will be here,” the midwife said again. It might have been encouraging if she had not spent the last thirty minutes repeating this comforting phrase. “Aaaah,” the lady screamed as the baby finally, finally, entered the world. “Goodness, what a size. No wonder the baby took time coming.” The midwife carefully cleaned the worst of the blood and mucus off the baby. “Well?” the lady asked urgently. Mrs Bellingham turned her head away from the child and cried. The simple fact was that Charity Bellingham should have been born a boy. If she had been born a boy, they wouldn’t have been thrown out of Forsbury, their old, beautiful house. The entail would have gone to her. If she had been a boy, perhaps her father wouldn’t even be dead. She might have been with him just over a year ago, as he had toured their estate, and been able to fetch help immediately when he was thrown from his horse. He wouldn’t have lain there alone so many hours, wouldn’t have caught that awful chill that had led two days later to his death. If she had been a boy… (E flat melodic minor.) Charity thumped the notes down, trying to drown out the voice in her head. Her mother looked up from the chair in which she sat sewing, her lips pursed. Ah yes, there it was. The fact was that, in all ways save the only one that mattered, Charity was a boy—or at any rate was boyish. Having been born a girl, she had not even had the courtesy to act like one and to pursue girlish interests with the same enthusiasm as her sister. Rebecca, source of this comparison, looked up from her place at her mother’s side and gave Charity a sympathetic smile. Becca, like their mother, was sewing a neat line of stitches to embroider a dress. The best that could be said about Charity’s sewing was that it was serviceable: two edges she sewed together would stay sewn, but they would win no merit for beauty. She preferred reading to sewing, and outdoor exercise to either. The room the three ladies sat in was the only ‘entertaining’ room in the house. Large enough to hold a grand piano, a small selection of books and a comfortable array of chairs, it was small enough that the piano loomed darkly over the space, making it feel cramped and out of proportion. The piano itself was a beautiful object—a dark hardwood grand that took up half of the space in their sitting room. In Forsbury, the piano had had a room to itself, where Charity could spend time alone, unwatched by the critical eye (and ear) of Mrs Bellingham. Another fault to be laid at Charity’s door: her mother clearly did not enjoy hearing her play, but as it was her younger daughter’s only feminine talent, she felt obliged to nurture it. (G minor harmonic; nearing the end of the morning’s exercises. Charity had to practise in the morning. During gloomy November, it became too dark to see the keys by mid-afternoon.) Charity sighed. The relationship her mother had with her was just that—an obligation. Her name said it all. Charity. It was merely charity that gave her a place in the family. Charity finished B minor melodic and shut the piano lid with a sigh. She would have liked to practise her pieces, but her mother had made it clear that there was only so much of Charity’s playing that she could take at one time. Maybe tomorrow she could work on the Purcell. Mrs Bellingham disliked that one less than most of the others, and the silent wave of disapproval was consequently less strong. And the bombastic nature of the music gave Charity a chance to play out the worst of her frustrations without criticism. “May I go for a walk, please, Mother?” She tried to modulate her voice to the gentle, subdued style Mrs Bellingham preferred. Charity sat down next to Rebecca, who finished her stitch with great care before putting her embroidery to the side. “What is it?” The question came from both girls simultaneously. Rebecca simply looked at her mother, dumbstruck. “But London, Mother?” Rebecca asked. Mrs Bellingham’s gaze fell fondly on her Rebecca, who was delicate, eager to please and unassumingly pretty. The perfect daughter. “‘Give Rebecca her Season’, he would have said.” Her gaze moved on to Charity. “And Charity, of course,” she added, the afterthought clear in her mind. Charity always was the afterthought. It was so common as not to be worth worrying about. “When are we going?” Charity asked. The girls looked at each other. There was no point arguing with their mother; she would do whatever she chose. Perhaps Charity would have challenged her, but a quick shake of the head from Rebecca prevented her. The sisters were dissimilar in almost every way, but they lived cordially side by side in the same house. Indeed, Charity often thought it was impossible for anyone to dislike Becca. Her sister was too gentle, too willing to please, too unassumingly feminine, for dislike. It would be like kicking a kitten. “Yes Mother,” Rebecca said obediently. “Yes Mother,” Charity echoed, unable to keep cynicism out of her voice. She did her best with Mrs Bellingham, she truly did, but it was too much to ask that she take her mother’s words as gospel. Mrs Bellingham would do what was best for Mrs Bellingham. It was as simple as that. It took a surprisingly short period of time to decide what possessions they should take to London with them. Mrs Bellingham took those black dresses in which she looked most imposing, but refused to allow the girls to take any of theirs. “Should we not at least take black gloves?” Rebecca asked tentatively. The girls exchanged glances. In life, Mr Bellingham had been ever at loggerheads with his wife, but since his death, their mother barely went a day without bemoaning his loss. If Rebecca, like Charity, had the suspicion that a male heir—and thus continued ownership of Forsbury—would have consoled Mrs Bellingham greatly for this bereavement, she at least had the tact to keep it to herself. It fell to Rebecca, therefore, to respond to her mother’s comment. “I shall make sure they do,” her mother retorted, her usual asperity back in full. And so it was a scant ten days before the ladies were bundled up in warm clothes against the chilly January weather to take their place in the carriage. Most of the possessions had been sent ahead, save for a number of boxes and cases for which there had not been room. Mrs Bellingham had arranged for furnished lodgings, so there was no need for the removal of any furniture. Instead, the larger pieces had been returned to a room at Forsbury. How their mother had talked Cousin Bellingham into storing them for her, Charity did not know. They had hardly been on speaking terms since her cousin had inherited the property. Perhaps, however, he felt that looking after their belongings was a small price to pay for Mrs Bellingham’s removal from the village. The journey was long and arduous, requiring one night’s stay in an inn. There was precious little room, and Rebecca and Charity slept together in a bed barely wide enough for one person. Their maid slept on the floor beside them, though Mrs Bellingham managed to find a room for herself alone. But it was not until early evening the following day that they reached London. It was soon very clear that London life—indeed, London itself—was nothing like anything Charity or Rebecca had experienced before. Charity had envisioned a big town, perhaps something like Birmingham, but nothing could have prepared her for what she found. As soon as the carriage reached the outskirts of the city, her senses were assailed by the sheer bustle of the place—its largeness, its fullness. It wasn’t just the sight of so many people going about their business, nor the cacophony of noise. Charity knew that if she had been blindfolded and her ears stopped, she would still have known she was somewhere new. It smelled different, and the very air seemed permeated by the atmosphere of hustle and determination. Everyone was in a hurry; nothing was ever still. Charity could feel the motion against her skin, even from within the carriage. Beside her, Rebecca looked wan and frightened, her eyes blinking faster than usual. Charity wasn’t sure whether the cause was the dirty city air or tears. She reached over and patted her sister’s hand. Displays of affection did not come naturally to her, and Rebecca knew it. She turned and smiled waveringly at Charity. “I didn’t quite realise that…” Rebecca broke off after those first few words. “Big, isn’t it?” Charity murmured in response. “We’re very grateful, Mother,” Rebecca said hastily. Charity couldn’t quite bring herself to repeat such an obvious untruth. She looked down at her gloved hands and said nothing. Her mother gave an indignant sniff but said no more, and the carriage continued to drive down the large, busy streets. At last, they drew up outside a dingy-looking building. The lodgings were drab but acceptable. The hangings were old-fashioned and somewhat worn, but the drawing room was large and spacious, and the two sofas were plump and comfortable. If the room designated to be Charity’s bedroom was perhaps more usually given up to a maidservant, Mrs Bellingham’s and Rebecca’s bedrooms were of a decent size. All three were filled with dark, solid furniture clearly chosen for practicality rather than beauty, and as the bags and cases were unloaded from the chaise, the two girls explored their new home. “Do you think we will like it here?” Rebecca asked. The quick answer, Charity thought grimly, was no—but Becca didn’t need to hear that. “When we’re used to London,” she said instead. She looked down from her bedroom window, surprised by the amount of noise that penetrated it. The road below was not as crowded as some of the others, but there was a continuous bustle outside and the sounds were so very different from the countryside. No birds could be heard, but horses’ hooves on the street clinked and clanked, and carriage wheels made an uneven noise as they jerked over the cobbles. Voices spoke or shouted, the accent harsh and ugly to her ears, and the constant toing and froing of people and vehicles made her feel almost dizzy. Charity turned away and saw Rebecca’s pale, anxious face. “It will be all right, won’t it?” her sister asked. The next morning, Mrs Bellingham rounded up her daughters almost before they had finished their breakfasts. “Before we do anything else, we must do something about your dresses, girls,” she said briskly. “Sounds delightful, doesn’t it?” Charity murmured to her, sotto voce, and Rebecca fought to conceal a smile. Mrs Bellingham would brook no argument on the subject, and the girls knew better than to try. It seemed a short period before they had entered into the first dress shop, where they were greeted with little enthusiasm by a doleful-looking woman. It became evident that the answer was “not”. Barely knowing how they ended there, Mrs Bellingham and her daughters found themselves back on the street outside the building in a rather short space of time. Rebecca was flushed and tearful; Charity hid her embarrassment behind a layer of silence that allowed her to make no response to her mother. With a frustrated sniff, Mrs Bellingham ushered the children back into the chaise and gave another instruction to the coachman. It seemed to begin with as if the second attempt was to be more successful than the first. Whether less busy, or more open to new business, Mademoiselle Farellone invited the ladies in without issue, and they were soon sitting comfortably whilst Mrs Bellingham explained her daughters’ needs to the dressmaker. Mademoiselle Farellone nodded, took measurements and made delicate suggestions. Charity was soon bored rigid by the process, but Rebecca looked at herself in mirror after mirror with stars in her eyes. “This dress? Truly, Mother?” she asked, dressed in a rose-pink confection with a few modest frills. “Indeed, it suits the little mademoiselle to perfection,” the modiste agreed, turning Rebecca this way and that so that she could admire herself on all sides. Charity stood to one side. She had been conscious that the dresses suitable for delicate Rebecca looked foolish on someone as tall as she was; the suggestions by Mademoiselle to this accord had dressed her instead in much plainer garb of dull green, white and primrose yellow, with not a flounce to her name. Although nothing could disguise Charity’s height, the simplicity drew attention to her better features: a slim waist and hips, and her pale, unfreckled skin. Charity had not known she could look so elegant. The look in Mademoiselle Farellone’s eyes implied that it was the most grotesque of all behaviours to bring up the sordid subject of money. It was nothing, however, to the look in Mrs Bellingham’s when she heard the cost of those four elegant gowns. Five minutes later, the family were once more on the pavement outside the shop, with no dresses ordered, but Mrs Bellingham with a face not dissimilar to the colour of a tomato. Rebecca was crying, and Charity reached out and gave her hand a quick squeeze. For herself, it did not matter, but Rebecca had looked very pretty in that pink dress. “Then…” Rebecca left the word hanging. “I’ll certainly be wearing what I’ve sewn,” Charity mumbled bitterly. Charity bit down hard on the sides of her cheeks to prevent herself responding in kind. Rebecca had been right: she should not have spoken so. She should have known that it would only rile her mother into one of her rants. There was no more to be said. Mrs Bellingham would not change her mind, and any further discussion would just serve to anger her to no good purpose. Charity looked down at the remains of her meal and realised that she felt slightly sick. She pushed the plate away.